A waiver is a document you must sign at the beginning of each season before you ride with Hillsboro Hounds. Also called a “Release”, it simply states you understand and assume the risks of riding while releasing the landowner of liability if you, or your horse, are injured. Why are there two different waivers? Each one pertains to the land ridden over while hunting. One, covers Hillsboro Hounds land, which is our primary hunt country; and two, covers Cedar Knob Hounds land, over which we’ve graciously been given permission to hunt. Waivers are mailed out prior to each season in the “invitation to hunt with us” packet. Current members know the following routine. New or aspiring members – please sign each waiver and mail them back to the Secretary along with your information sheet and dues in the self-addressed-stamped envelope provided. Whether during the preseason or the formal season, if you arrive at your first meet realizing you’ve not turned in your waivers, please see one of the Staff members or Masters. Any of them will guide you to the Hunt Truck where you can sign the waivers before you mount. For those who love the land, there is perhaps no sight so beautiful as the morning mist rising over field and stream. Birds call and all of nature answers with sounds that are like music in a beautiful, healthy environment. Respect for the land is a key ingredient to this community and the privilege it is to ride its hills; hence, our partnership with The Land Trust for Tennessee. The Masters of Foxhounds Association of America (MFHA) was formed in 1907 and is the governing body of organized fox, coyote, other acceptable legal quarry and drag hunting in the United States and Canada. In 2000, the MFHA Foundation was established as a 501(c)(3) tax-exempt organization with a mission to help preserve the sport of foxhunting for future generations. Masters of registered and recognized hunts must be members of the MFHA and adhere to its rules and guidelines. Once a hunt has accepted registration or recognition, it pursues the sport according to the best possible customs and traditions. 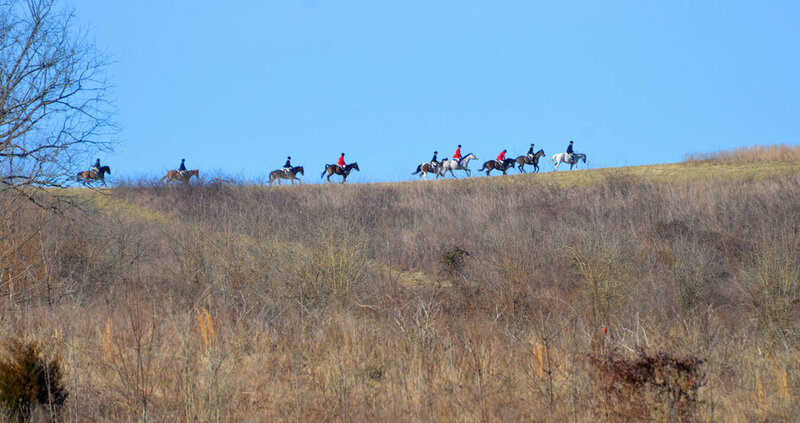 The Hillsboro Hounds have enjoyed being an established, recognized hunt in good national standing for the past eighty-five years, celebrating John Gray, 2016 recipient of the Ian Milne Award, as he enters his fortieth year as Huntsman. Hence the nod to its 85-40 season!